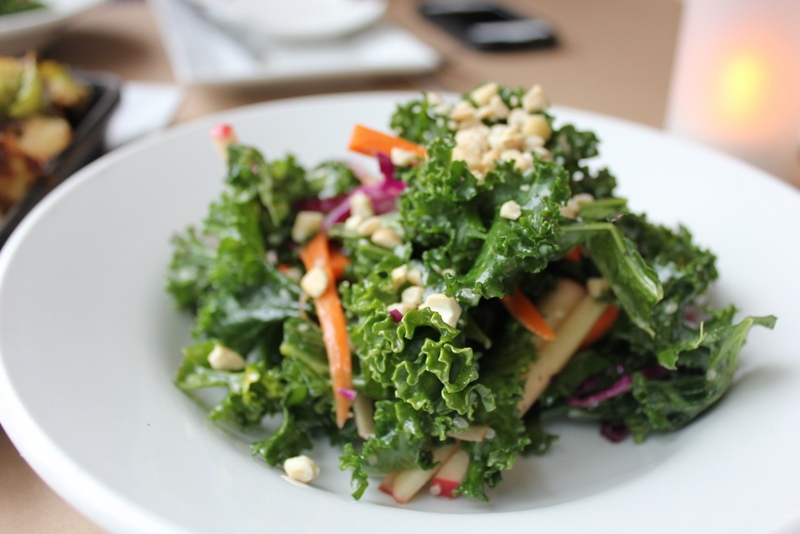 I have a list of must-visit vegetarian restaurants, spots all over the country. I’ve compiled this list based on recommendations from fellow food writers, friends, sometimes complete strangers who I encounter on this crazy journey of mine. When talking Chicago restaurants, Karyn’s on Green comes up often. I was excited to have an opportunity to dine there recently. Soggy and chilled to the bone, hands full of shopping bags, my favorite fella and I were welcomed into Karyn’s. We were on the early end of dinner, so the restaurant wasn’t full. We were indulged in my request for a table near the windows. I had a sneaking suspicion I would want to take photos of the food, the light streaming in the tall windows on the front of the restaurant was gorgeous. 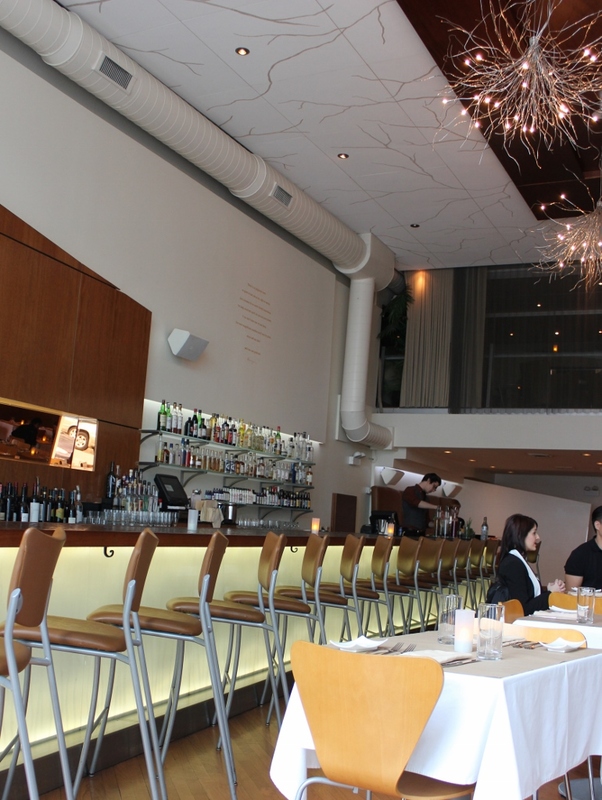 It’s a beautiful space, airy and open, white tablecloths, tables that aren’t crowded together, a large bar area. We started off with cocktails. 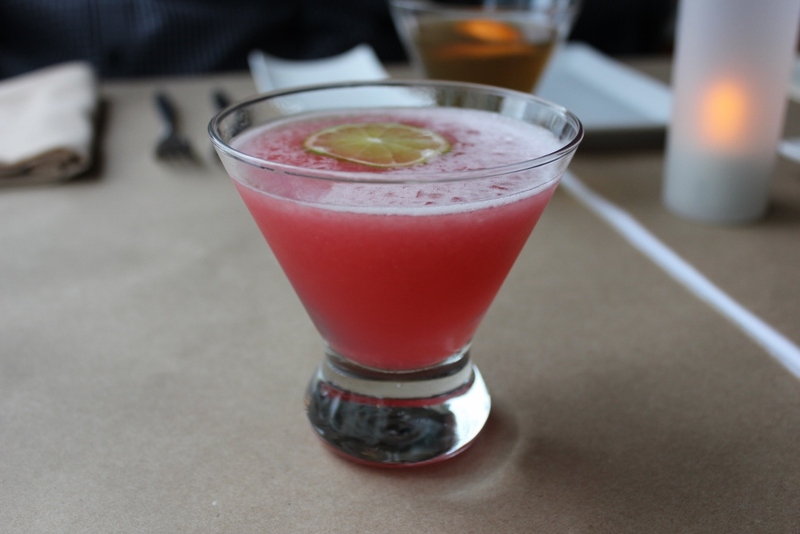 Isn’t this fruity margarita concoction pretty? While perusing the menu, I noticed only one gluten-free entree on the completely vegan menu. We decided we would piece together a meal of starters and sides instead. I actually prefer this to ordering just one dish, as I get to try out more of the goodness. We started with the aged cheese platter. If you go to Karyn’s for no other reason than this cheese platter, it will be worth the trip. Five flavors of cheese were on the platter. One of the green wedges was a cheese made with kale. You know I was in heaven! The other green cheese was made with blue green algae. 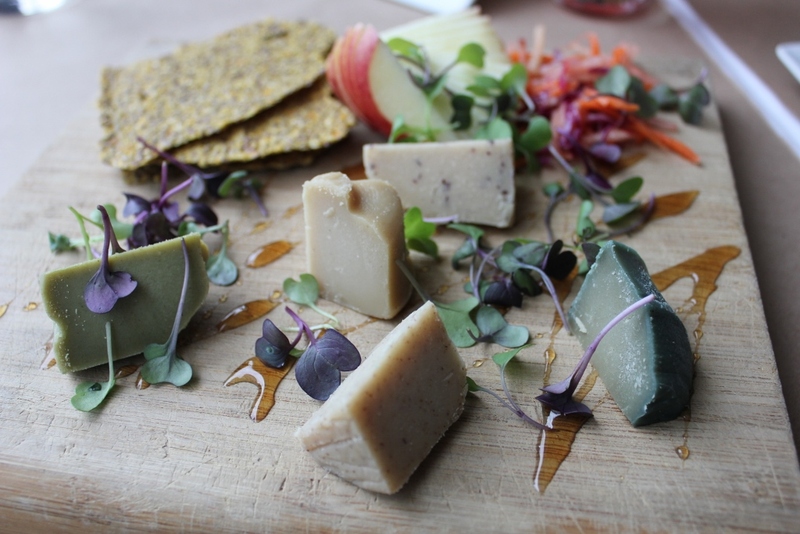 The cheeses, nut based and raw vegan, are aged a minimum of 3 months. 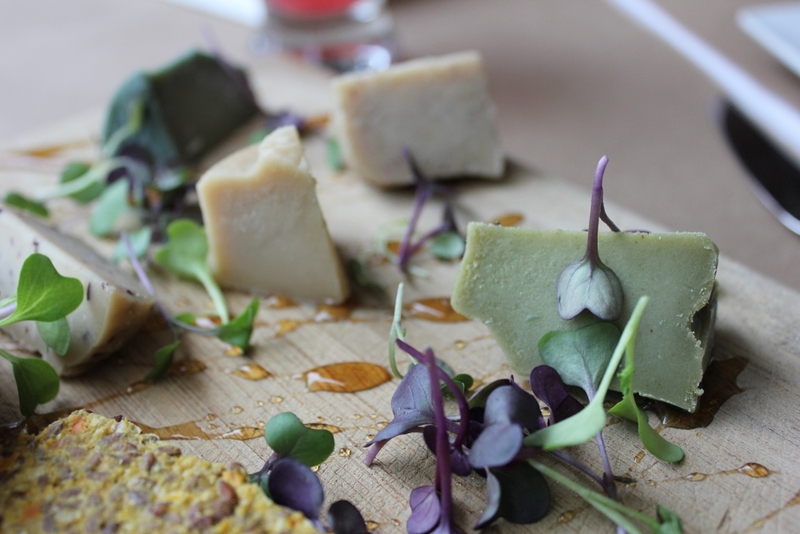 The cheeses were served with raw crackers, microgreens, a sliced apple and a drizzle of agave. I could have gone home happy if we had nothing else, but you know we didn’t stop with just the cheese platter. 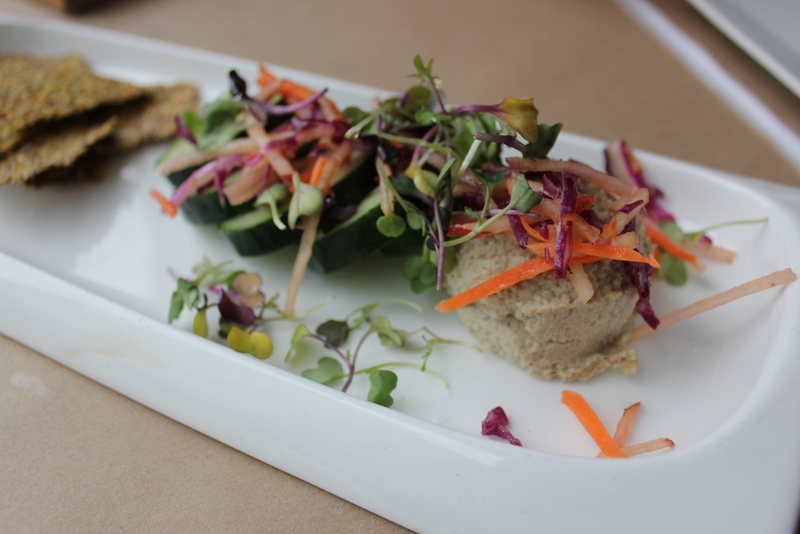 Next up was the sunflower hummus. The was one of the creamiest hummus dishes I’ve tried. We were close to being full at this point but our server said if I was truly a kale aficionado, it was necessary that I try their kale slaw. So we did. Another beautiful dish packed with flavor. I would describe it as more a salad than a slaw. 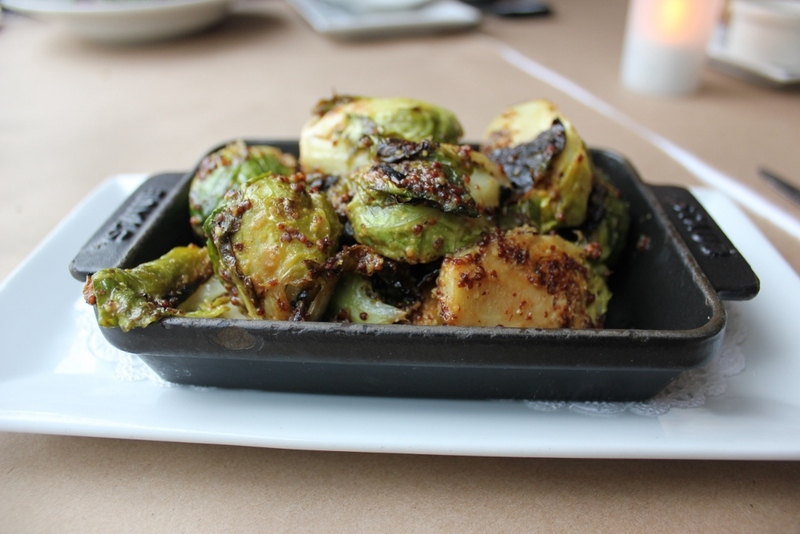 And because I’m almost as fond of Brussels sprouts as kale, we had the Caramelized Brussels Sprouts in Mustard Vinaigrette. Wow, were these spicy! You know that sneaky heat from the little packet of mustard that comes with Chinese take-out? It was that kind of heat. Not only did this dish taste great, it cleared my sinuses! Since it was my birthday, we decided to split a dessert. 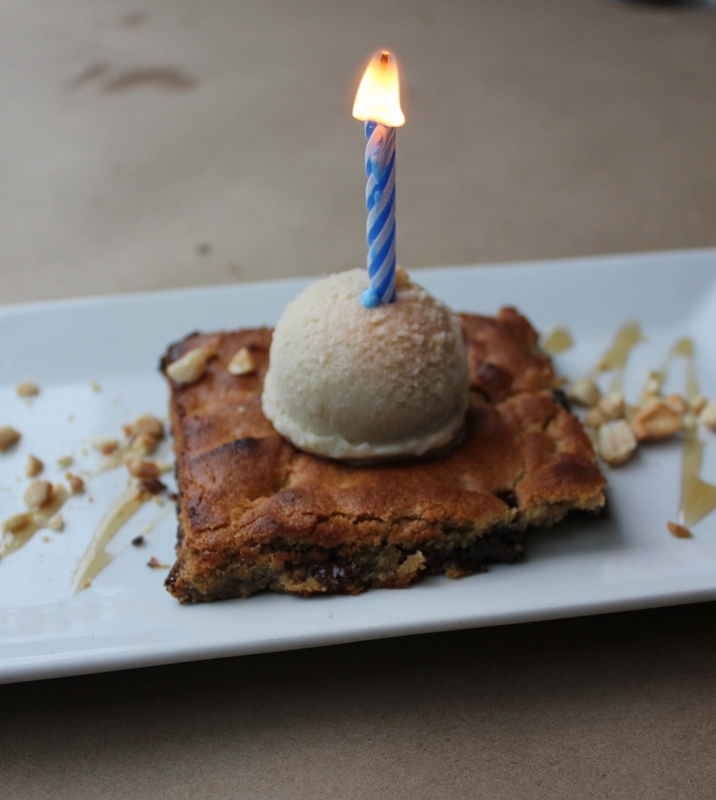 There was only one gluten-free option on the day of our visit, the blondie with ice cream. It was a nice way to wrap up a lovely meal at a spot I had long wished to visit. Karyn’s on Green is located at 130 South Green Street in Chicago, Illinois. 312.226.6155. You might also like to visit her other spots, including Karyn’s Raw and Karyn’s Cooked. You’ll find info on those here. Eat With: Very minimal caution. On my visit, the staff seemed very well educated. Our server took a moment to confirm with the bartender which of their signature cocktails was gluten-free. The menu is very clearly marked with GF next to all of the gluten-free offerings. It’s still a good idea to mention to your server what your restrictions are so they can alert the kitchen. Thanks, Shirley! The cheeses were incredible. I wish they offered a cheese-of-the-month subscription. I’d like these to appear on my doorstep. So good!